I’m sure I’m not the only one who can’t believe we’re already one quarter of the way through 2018! It’s the start of the Easter break and the sun has finally put in an appearance. Ian’s coming for the long weekend and we have some lovely plans. I absolutely can’t wait. I love this time of year. Everything is ready to burst into life and Easter has always been a very special time in our family. This is in part due to our Catholic upbringing, but also because my two children, my mum and my brother have birthdays in March and April which between them straddle the Easter weekend, no matter when it falls. It’s always a time of celebration. 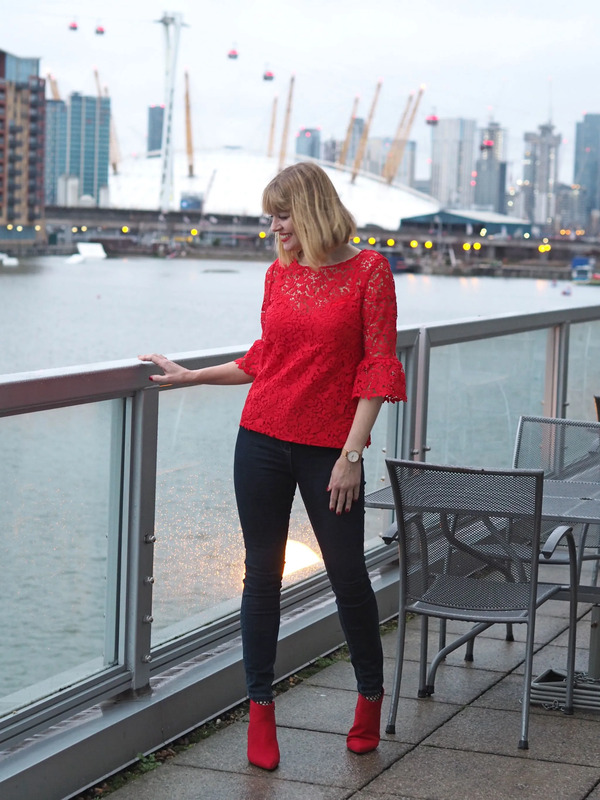 So, I’m reflecting on the last three months and looking back at my New Year resolutions to see how, (or if), they have improved life. I have categorised it in the same way that I categorise my blog. This is 2018, the story so far. Style makes up the largest proportion of my blog. 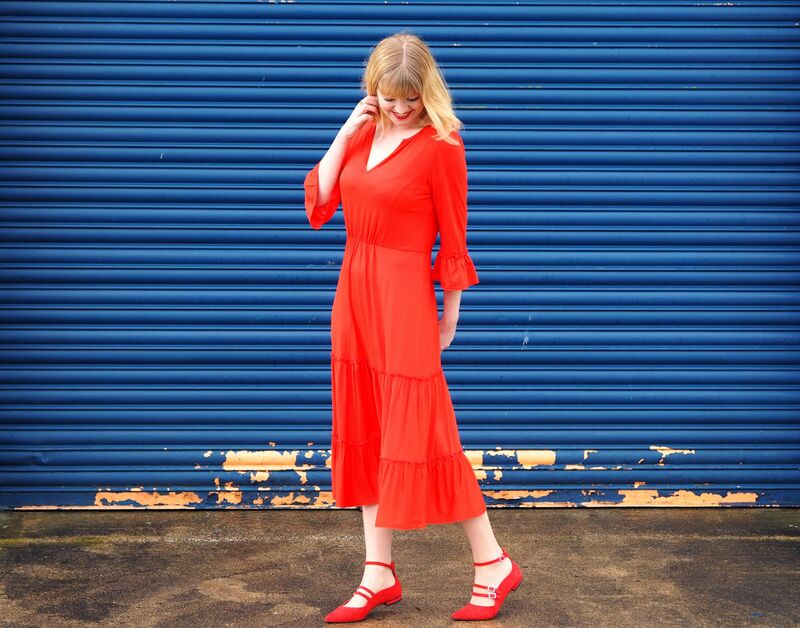 This year, I’ve worn a lot of red and have fallen even more in love with the midi length. I got dressed up for a black tie event, but mostly, I’ve been wrapped up in 15 layers, a down coat, gloves, scarf and a hat. These are my five favourite outfits. One of my resolutions was to get a few health issues attended to. Thanks to our wonderful NHS, I’ve been able to do just that. Consequently, it’s been an unusual three months. I feel like my feet have barely touched the ground and at times it’s felt like a whirlwind of hospital appointments. I’ve had three minor surgeries. In February, I had a hysteroscopy, in early March, I had a skin lesion removed from my nose and two days ago, I had two chalazia, (meibomium cysts), removed from my upper eyelid. I can’t tell you how pleased I am with everything so far. I’m waiting for a uterine ablation, a more serious operation, but something I’m looking forward to. I’ll be like a new woman by summer. I tried not to put life on hold, but in some ways, I had to. I haven’t been able to exercise as much as I do normally, because of the various recoveries. But to be honest, I’d been feeling apathetic anyway. I fell out of love with the gym towards the end of last year; I got bored. In my New Year resolution post, I vowed to try a more efficient regime at home and promised I’d report back. Well, it was a complete fail. I wasn’t motivated and I was too easily distracted. I looked in the mirror two weeks ago and although happy with my weight and my size, I was not happy with the much less-than-usual toned version of myself that looked back. So, l got my wobbly self back to the gym at the start of last week and I’m loving it. I’m doing the same regime as before but with a lot more focus. I use resistance machines rather than free weights and it’s all too easy to become passive, to let the machines do the majority of the work. I now make sure I think about the muscles and what they’re doing, ensuring I really work them. It must be said that I could barely walk at the end of last week, so sore were my inner thighs. I can’t tell you how much better I feel. The external results won’t be visible for a while, but my goodness, inside I’m buzzing! I feel more energised, more motivated and generally just better about myself. I’ve fallen back in love with exercise and I’m hoping for a happy ever after. So far this year, I have managed to keep to my resolution to read more. Still not as much as I’d like to, but it’s a step forward. In part, this has been due to me managing my time on social media more and ensuring I finish work at around 5.30pm and often before, unless it’s absolutely necessary. I have said no to more things than ever before. This goes against my nature hugely. I’m a people pleaser, so I find it hard. I have also begun to (finally) recognise my self-worth. In the monetary sense of the phrase, I am no longer prepared to work for nothing, Catherine, (Not Dressed as Lamb), wrote this excellent post about this topic. Saying no has felt incredibly liberating and has been good for my self-esteem. On a deeper and more emotional level, Ian has made me feel valued, special and downright fabulous. He has also, finally. made me accept that it’s ok to rest sometimes! In common with many, I resolved to drink more water and less wine this year. I have certainly increased my intake of water. And the wine? Erm, nuff said ;). I decided at the start of the year that I have the opportunity to fill a niche in the blogosphere. 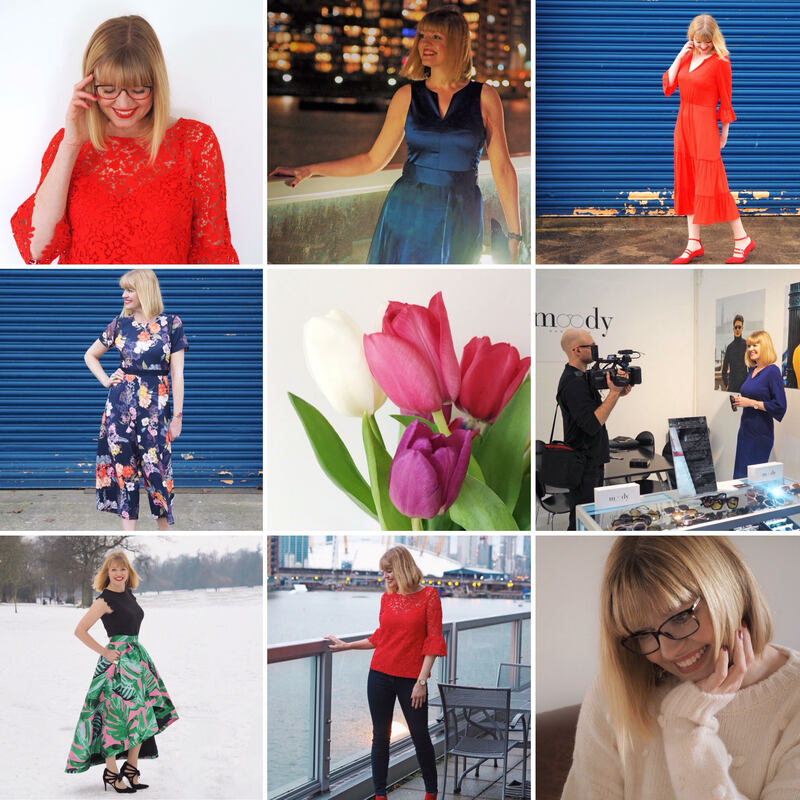 That of a style blogger who can talk with authority about optometry and all aspects of eyes. I added a new tagline to that effect. 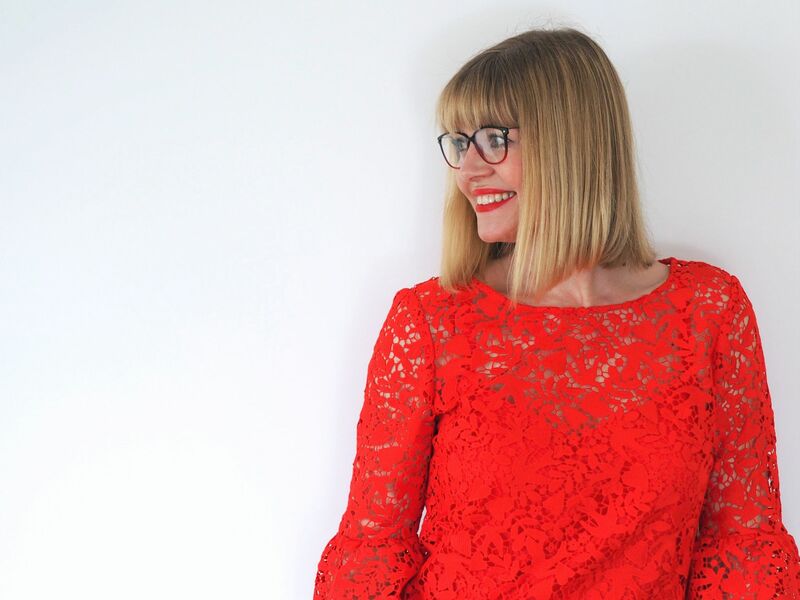 In January, I began a year-long partnership with Stepper and, in collaboration with them, have written about my first pair of reading glasses and how to choose coloured spectacle frames. They are a super company and I’m going on a very exciting little jaunt with them in October, so watch this space! One of the highlights of the story so far is my weekend at 100% Optical. I even got to do some presenting which I absolutely loved. It reignited my passion for my profession. It made me prouder than ever of being an optometrist. Gosh, I’m starving…I haven’t done a restaurant review since before Christmas. And nor have I really been out to anywhere of note so far this year. This particular blog category needs a bit more excitement in its life. Let’s see what we can do about this. Previous Post The Boden Sale, Spring 2018. My Favourite Picks. Next Post Good Friday Walk in Malham, North Yorkshire.